Should You Notify Your Insurance Company Before Home Renovations? Thinking about doing some home renovations? Your Homeowners’ insurance policy is designed to cover the replacement cost of your home in the event of a total loss. If you make significant upgrades to your home this may increase the replacement value of your home, which may require the replacement cost to be adjusted. Please notify your insurance broker of any home renovations to make sure you are properly insured. If you’re making “substantial” renovations this may change the classification of your policy. Your insurance company may require you to obtain a Builder’s Risk insurance policy while your home is under construction. Builder’s risk insurance is a special type of property insurance which indemnifies against damage to buildings while they are under construction. Builder’s risk insurance is coverage that protects a person’s or organizations’ insurable interest in materials, fixtures and/or equipment being used in the construction or renovation of a building or structure should those items sustain physical loss or damage from a covered cause. Majority of Homeowners’ insurance policies require that the home remain occupied while it is insured. If you have to leave your home for an extended period of time during renovations, you should contact your insurance broker to request a vacancy permit. Vacancy permits may increase the premium, but they allow you to maintain most coverage while you’re away from home. If a contractor or anyone else is injured on your property, you may be liable for costs and damages relating to that injury. We would recommend requesting a certificate of insurance from your contractor prior to the renovations. A certificate of Insurance outlines that persons insurance policy limits. 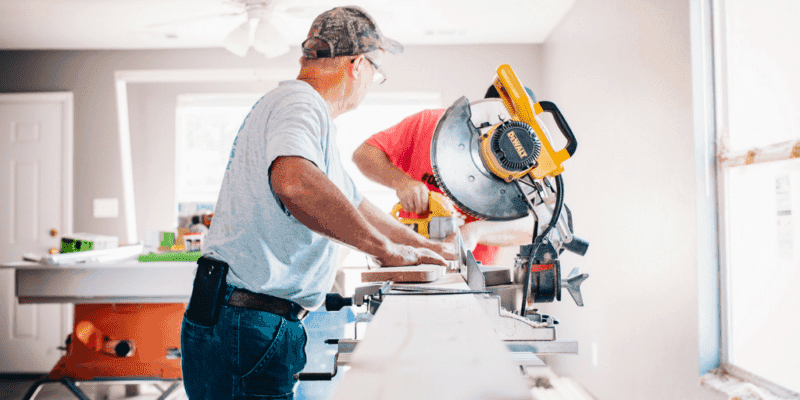 You should also review the amount of liability coverage you have, it may be worthwhile to increase your coverage during the renovation period just in case something happens to a third party on your property. Failure to notify your insurance broker of a vacancy or renovations “may” result in a claim being denied. Have more questions? Contact our brokers at Morison Insurance. We are happy to help!